The Quercy region, mainly situated in the Lot département, is southeast of the Dordogne. 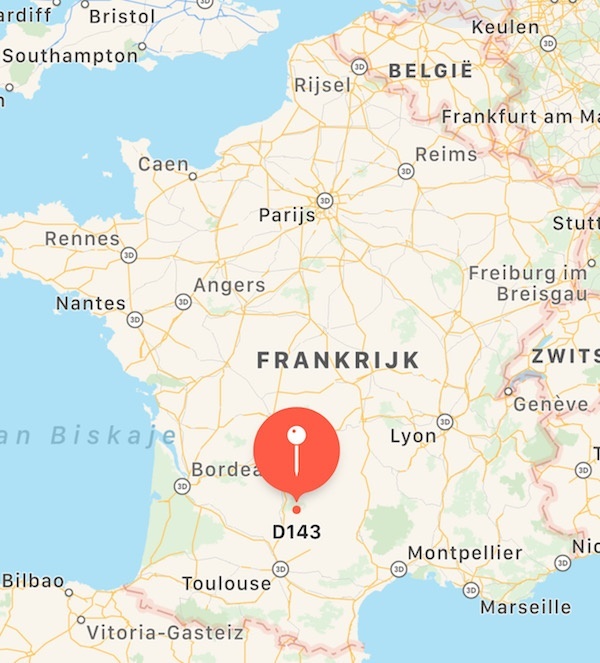 The French sometimes call it the forgotten district. 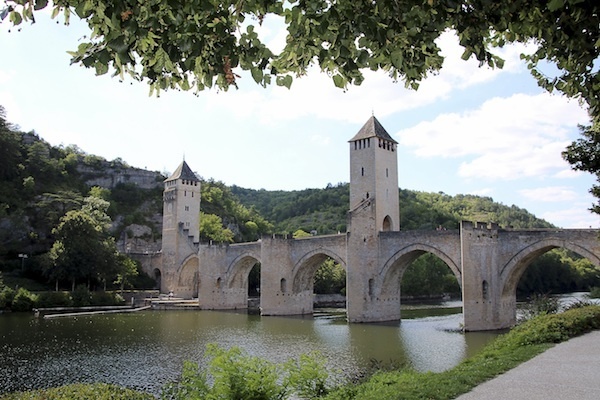 ‘Les Causses du Quercy’, are made up of hilly and mainly wooded limestone plateaux, through which the river Lot and its tributaries, the Célé and Vers, have eroded deep and winding valleys. The woodland is mainly composed of small, gnarled oak trees, which despite their size, can be very old. The region offers you a unique and varied landscape with many breathtaking panoramas. There are many underground rivers that sometimes emerge at the surface. Here and there these streams have caused the collapse of the plateau above. resulting in a steep-sided chasm or ‘gouffre’. Over thousands of years the passage of underground water has formed numerous cave systems, which can be extremely extensive. Amongst these are the world famous Peche Merle caves with their 25,000 year old prehistoric drawings. Many of these caves or ‘grottes’ are open to the public. Other vestiges from the prehistoric age include the numerous megalithic tombs or dolmens. The region has been used for agricultural purposes for many centuries. During the Middle-ages shepherds took their flocks from the Pyrenees through the Quercy in winter. 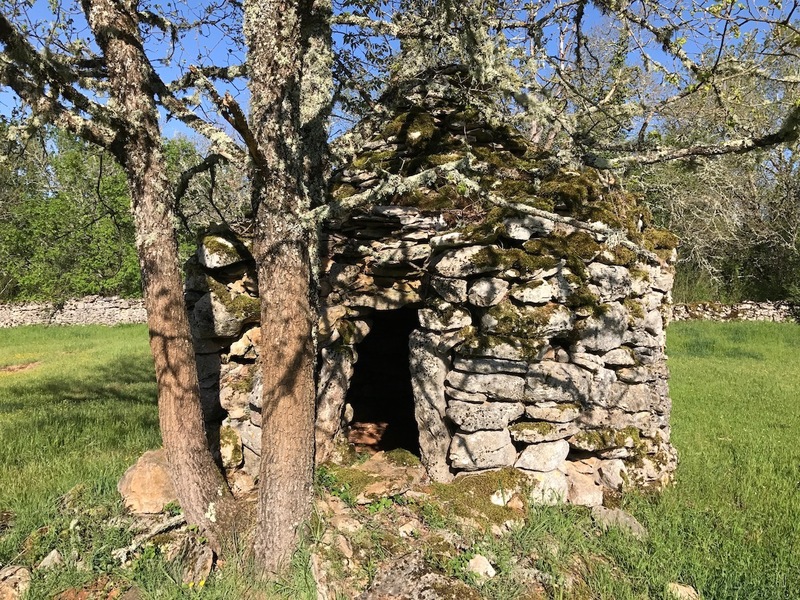 Left over from this period are many small, stone-built shepherds’ huts known locally as ’cabanes’. Since the beginning of the 1960s sheep-farming in the area has declined, and as consequence a lot of the dry stone wall enclosures have reverted back to their natural state. The old tracks that were used to reach these enclosures now create a vast network of beautiful foot- and riding-paths. 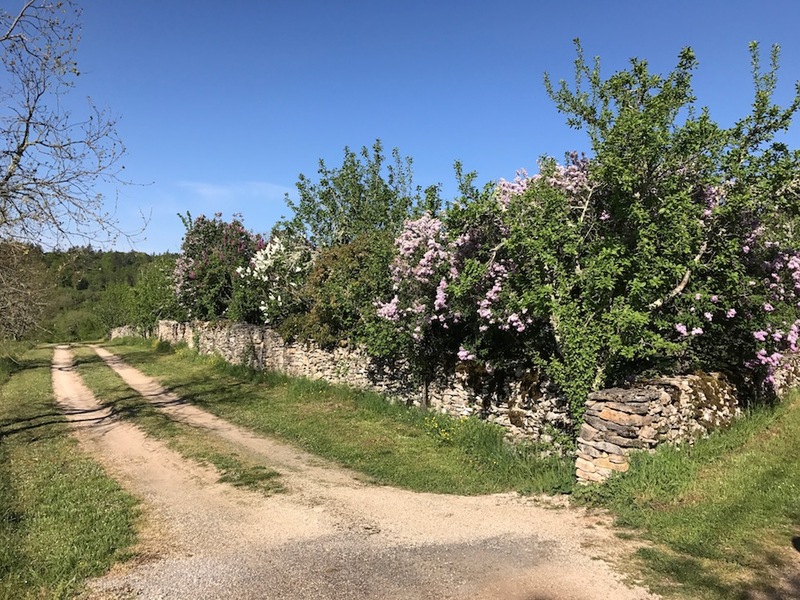 One of the most famous international footpaths, the GR 65, which goes on to Santiago de Compostella in Spain, crosses the Quercy and passes close to Pech Blanc. In 1999 more than 30 local councils decided to make a large part of the Quercy into a large nature area, a park where nature has a priority and 420 sites are protected: the ‘ Parc Naturel Régional des Causses du Quercy’. The Quercy is sparsely populated. Most villages are very small and have long lost their own facilities. Here and there amongst them there are somewhat bigger villages where all facilities are concentrated. One of these villages south of the river Lot is Limogne-en-Quercy with about 600 inhabitants. It is a lively community with schools, shops, restaurants, a medical centre and even a library. Limogne is a typical French village. It has a pretty square in the centre, with a church, bar and is the location for the busy Sunday-morning market. The larger towns are situated at the edges of the Quercy, for example Cahors in the west. The vineyards where the well-known Cahors wines come from are found in the valleys west of Cahors. 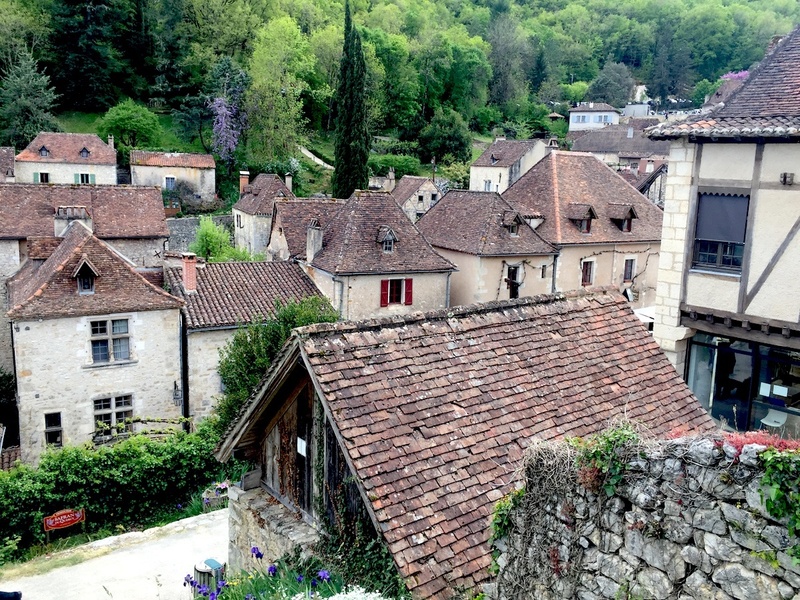 North-east of the Quercy is the pretty provincial town of Figeac. To the east, in the départment of the Aveyron, is the relaxed market town of Villefranche-de-Rouergue. Because the Quercy is so thinly populated and there are few streetlights, the region is very dark at night. It is the largest dark area in France and is also referred to as the ‘Triangle Noir’ (the black triangle). The magnificent starry skies are a must for stargazers. Besides Saint Cirq Lapopie, chosen by the French in 2011 as most beautiful village in France, you’ll find Calvignac, also perched on a rock overlooking the river Lot, but less touristic.